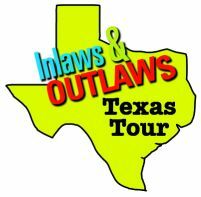 The Outlaws Texas Tour was a grear success! Throughout October & November, Inlaws & Outlaws screened in cities, towns and communities throughout Texas. We teamed up with schools, churches and organizations throughout the state to bring Inlaws & Outlaws to Texas for the first time. It was such a hit, that we're already planning our return during Spring '08! This time it'll be even more far-reaching, as we hope to partner with organization and other friends we've made along the way. You can be part of this tour! Simply sign up online or call (206) 457.8097. The tour kicked off with the Austin Gay & Lesbian International Film Festival. This well-respected LGBT festival celebrated 20 years of showcasing gay & lesbian movie-making in Austin this year. Inlaws & Outlaws was shown on Sunday, September 30 at 2:15pm at the Regal Arbor Theater. We also teamed up with Atticus Circle & Soulforce to make Inlaws & Outlaws available for the Seven Straight Nights for Equal Rights vigil in Houston. More information about Seven Straight Nights for Equal Rights and Inlaws & Outlaws' involvement can be found here. One of our biggest successes was with the schools in Texas. We were taken under the wing of the Gay-Straight Alliance of the University of Texas, Brownsville. With the leadership and enthusiasm of Heathcliff Lopez of UTB, Inlaws & Outlaws was warmly received, and a big hit with those who attended. Of the screening, Lopez commented, "the event was no doubt a success to all who attended...the film reached out on so many levels...If you decide to have a screening, it will not be something you regret." Thank you Heath and the GSA at UTB! For the full story about Heath's screening, click here.